I mentioned the other day how much I was enjoying doing some embroidery. 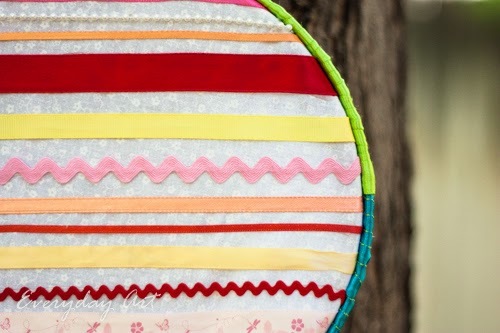 Super easy and quick--just pick out some somewhat-coordinating ribbon, got glue it to a fabric and put it in the embroidery hoop. 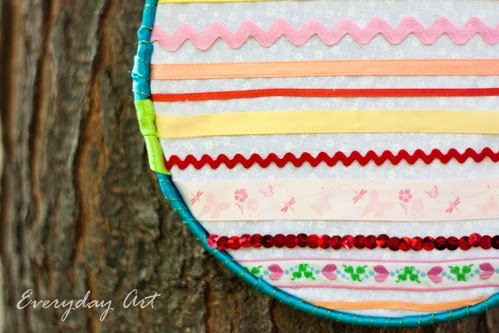 I decided to add a little pizazz and decorate the hoop with some contrasting ribbon. 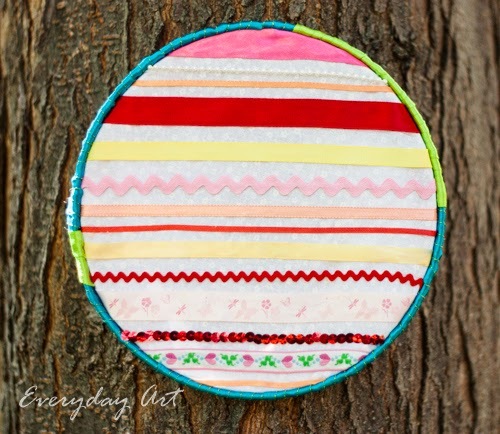 In the end I discovered and imporant thing: it is extremely difficult to wrap the ribbon around the hoop when your hoop is one of those (lame) old-fashioned metal ones with the dent around it. SO tricky to do and have it look well. Oh well, it was a quick craft I did in an hour or so. It was fun to try something different.